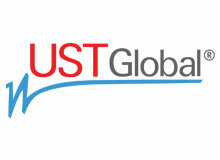 UST Global is a provider of end-to-end IT services and solutions. Workplace freedom and democratic practices are key differentiators in today's competitive business environment, which separates great organizations from the rest. UST Global is one of the few organizations which goes beyond the stated values and believes and practices freedom and democracy at the workplace. In my experience, as a proud UST sociate, I have experienced this first hand and observed how it has touched the professional lives of our company's employees. The UST Global leadership has always epitomized workplace freedom and nurtured democratic employee practices. This has been promoted and practiced by our leaders at all levels. There is a consistency about the way UST promotes democratic principles and values to ensure the same spirit is cascaded to all levels in the organization. UST Global has always provided the right environment which nurtures freedom of expression, breaking free from hierarchical boundaries, providing opportunities for growth and ensuring fair treatment for our people.